"A Reggio Emilia Inspired School"
It is with a heavy heart that we announce the sale of the Winter Springs location of Creative Inspiration Journey School (CIJS). Many of you have already met the new owners and many of you also know that this has been our baby. My sister and I opened this preschool with just 4 students in September of 2014 and have grown tremendously in such a short time. 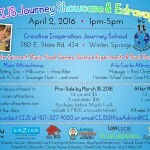 CIJS has spent the last 4 years cultivating an amazing program and creating relationships with families and educators world-wide. 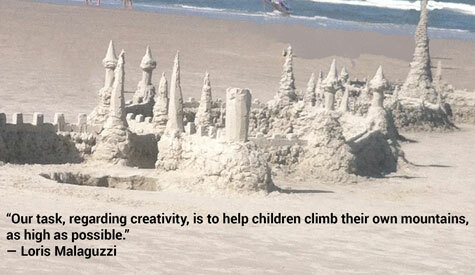 We have dedicated our lives to finding ways to enhance the education in Central Florida by bringing a world-renowned Reggio Emilia approach of learning to this community. In October of 2016, we were honored to be approved to open a TUITION FREE public charter elementary school in Osceola County utilizing the same curriculum we have offered the Winter Springs community. Our new campus in St. Cloud will house nearly 700 students and will serve pre-k through fifth grade. While we will miss Winter Springs very much and the relationships we have built within this community, we are very excited to take this approach to the next level. Our plans are to dedicate our time solely to the upcoming charter school making a huge impact on the educational system in Central Florida. This is a great opportunity for both CIJS and the students in the Central Florida area. With that being said, we want to give a warm welcome to Amazing Explorers who are the new owners of the Winter Springs location. This school offers a STEM approach to education and they also own two additional locations, one in Oviedo and the other in Lake Nona. This is not good bye, just farewell for now. Please feel free to visit us in Osceola County the next time you are in that area. 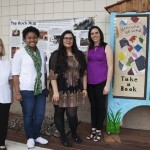 With love……..Take care Winter Springs! Creative Inspiration Journey School (CIJS) implements standards using a ground-breaking approach in an organized manner through interdisciplinary learning while integrating a project-based method of teaching with the Reggio inspired philosophy. 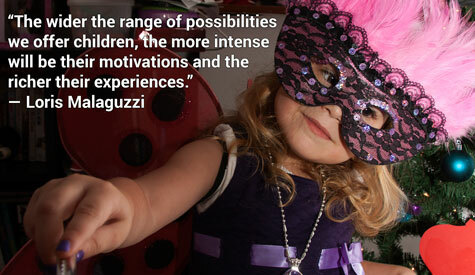 CIJS is an early childhood educational program inspired by Reggio Emilia. We establish an environment where children love to learn through self-discovery, imagination, and creativity while interacting with others in a friendly and safe atmosphere. Our environmentally conscious and natural surroundings integrate the green philosophy that we implement on a daily basis. The curriculum is well-balanced and designed to foster each child’s growth in social, physical, cognitive, and emotional development. It allows room for teacher-directed and child-directed activities that utilize critical thinking skills, communication and collaboration. Our children are competent, resourceful, inventive learners, capable of co-constructing knowledge while fostering their natural talents. We embrace a collaborative partnership inclusive of the community, parents, teachers and students. 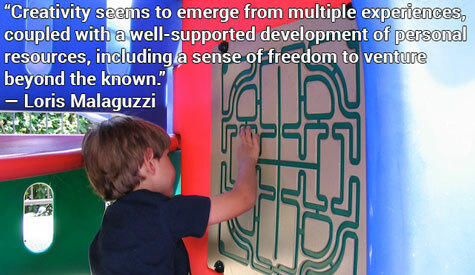 Reggio Emilia was nominated in the Early Childhood Category in Newsweek as one of “The Ten Best Schools in the World”. GREAT NEWS! CIJS sister school has been approved to open a K-5 Charter School near St. Cloud and Lake Nona – August 2019! 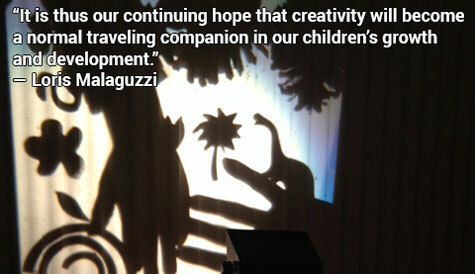 Creative Inspiration Journey School was founded as an early childhood educational program inspired by the groundbreaking Reggio Emilia Approach to learning. What began as a small movement in the town of Reggio Emilia in post-war Italy, soon emerged as one of the world’s foremost childhood learning systems with a strong emphasis upon community, individual respect, and social responsibility. I have never put my 16 month old son in daycare, but when I toured this school and met all of the teachers, I fell in love! If you haven’t had a chance, stop by for a tour! You won’t regret it! We love that our daughter attends a school where she is loved and encouraged to explore her environment. She is learning and growing every day. We also appreciate the fantastic communication. I always know what she has been up to thanks to the frequent newsletters, emails, and photos. My children look forward to going every morning, and I can hardly get them to leave when I pick them up. Our kids love it here. Could not ask for better teachers or a nicer facility. Your emails are one of the highlights of our day. We really appreciate the enthusiasm for learning and the care which you provide our child. As a former teacher, I just want you to know that your efforts do not go unrecognized. 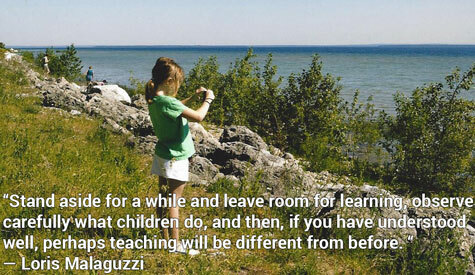 The teachers are always engaged and are flexible with the children, letting them direct their own learning.